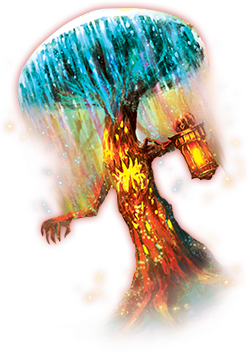 If you've made it to this page, that means you've got exclusive access to one of the best Exodus TCG offers ever! We're excited to make this deal available to you, and hope that you thoroughly enjoy and get the most of it! • With the purchase of 1 Galaxy Tides booster case, you'll receive not one, but TWO SR "Alana the Star Formation" cards (one of which will be signed by the artist herself, COCOs)! (Only about 3 signed versions have ever been put into circulation thus far!!) Additionally, you'll get an official Galaxy Tides Uncut Sheet signed by the game creators! • We're giving a 5% discount (and shaving an additional extra off the price) making your total only $475 (Booster cases are usually $503.88, and don't include the bonus items in this offer.) Free shipping + zero tax! • IMPORTANT: This offer is available to the first 10 people who purchase! 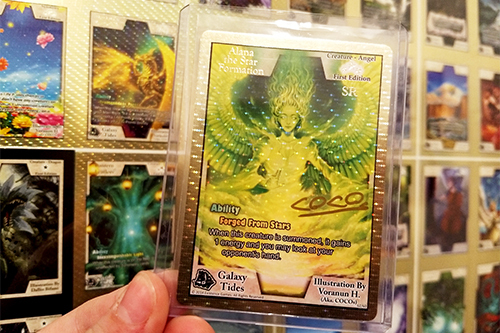 • Limit of 2 purchases per person for a possible 2 different uncut sheets (Galaxy Tides sheet & Crystal Forge Sheet) and 2 artist-signed SR Alana cards (a playset!). - $475 may seem like a lot to dish out at first, but don't turn the other way just yet—let's break it down so you can see exactly what you're getting. For what you pay, you get 12 sealed booster boxes, each of which contains 12 packs +2 box toppers (and every booster pack has 5 random cards). That's a whopping total of 744 cards for your collection! - We've never made a discount like this before (5% off cases + AWESOME bonus items that we don't normally give away). This exclusive booster case deal probably won't be coming around again, so this is your opportunity to get the snag of the year from us! Don't quite have the cash? Split the cost with a friend and crack open a case together! Gaming is all about community, right? Thanks a bunch for your support, treasured Exodus player! We'll take special care to get this package in the mail to you and have it arrive safely :) We hope you have loads of fun with this!